Practical Bible Teaching: OH SAY, CAN YOU SEE? Most evangelicals tell us that we need to repent so that we don’t go to hell. Jesus said we need to change our mind and believe the gospel, because the kingdom was at hand. 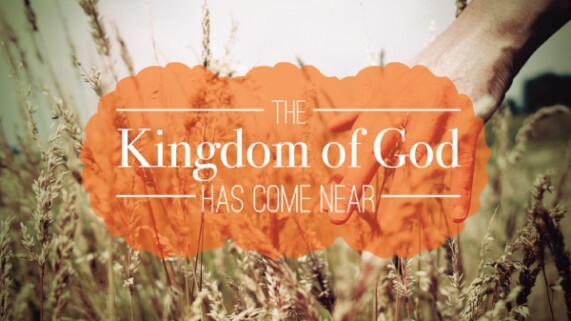 In other words, Jesus wants you to be a part of the kingdom. You have been given a personal invitation to join the most exciting institution on earth—the kingdom of God. I don’t think I’ve ever seen or heard of this kingdom. How can I know what it is? Unless you’ve been born again, you cannot even see the kingdom, let alone understand anything about it. That means that unless you are born again, you cannot know nor understand anything about God’s kingdom. Could this be why the pre-believer hasn’t any idea what we are talking about when we share things concerning this kingdom? Yes, I am aware that Paul tried to explain this for us in his letter to the Romans. But we continue to demand that those who are not yet born again submit themselves to the principles of the kingdom. Why is it that we do not truly believe the Word? Those outside the kingdom of God simply are not able to understand what we believe or why. Jehovah tried to show this principle to the Hebrews as they wandered in the wilderness carrying the Ark of His Presence with them. Notice that the height of the wall surrounding the court and everything it contained was to be five cubits high. For the ease of figuring, we will use 18 inches, one and a half feet. The wall of the tabernacle in the wilderness was 7 ½ feet high, much higher than a normal human being of any era. Hebrews and aliens on the outside of the tabernacle were not able to see whatever was going on inside the walls. They hadn’t a clue. They could speculate, though, due to the loud noises coming from around the brazen altar of sacrifice. What do you suppose went through their minds as they saw bulls and sheep disappear behind the gate never to return? One would think that is plain enough for anyone to understand, but even Nicodemus, who was a teacher in Israel could not grasp what Jesus meant (Jn. 3:4, 10). It is certainly plain enough for those of us who have been born again, but that is where the plainness stops. John 3:16 is posted by folks seated in the end-zone seats of football games, but John 3:7 is posted all around town in people’s yards and attached to power poles. It is usually seen as a verse telling people what they need to do. I will take that up in the next installment.